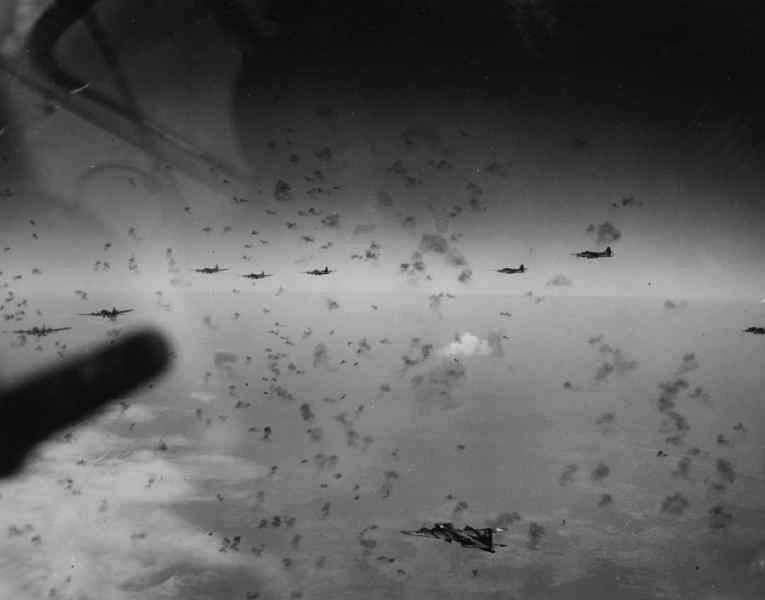 A B17 formation over Germany. 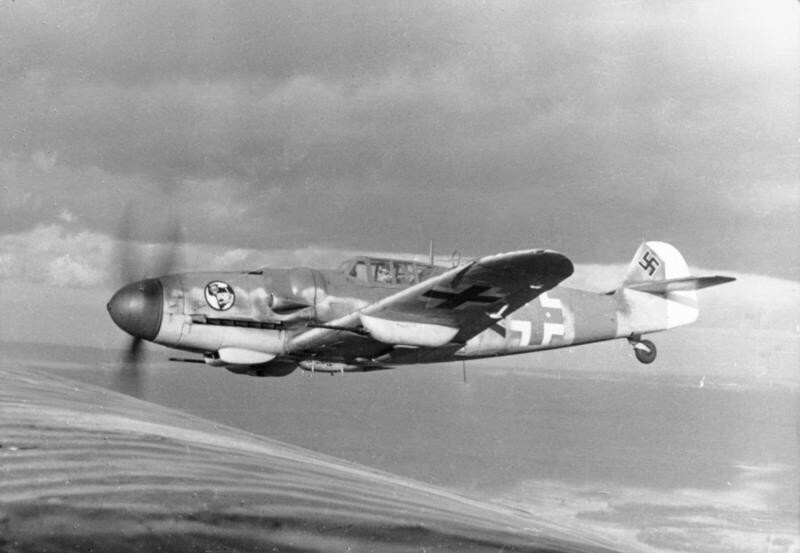 An Me109 of Jagdgeschwader 27. 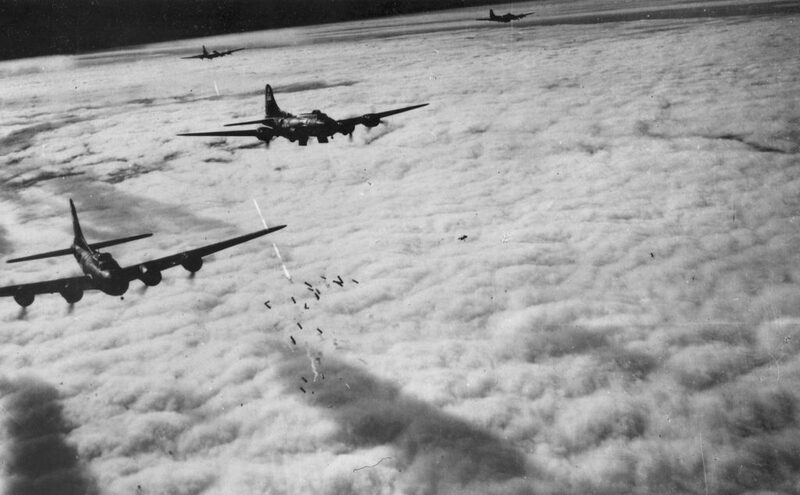 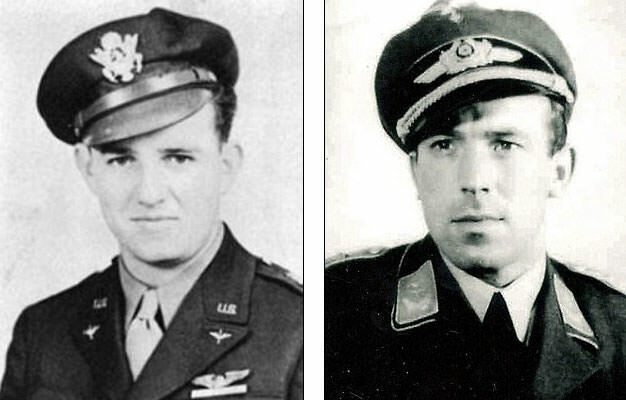 Images under Creative Commons licence with thanks to the US Gov and the Bundesarchiv.